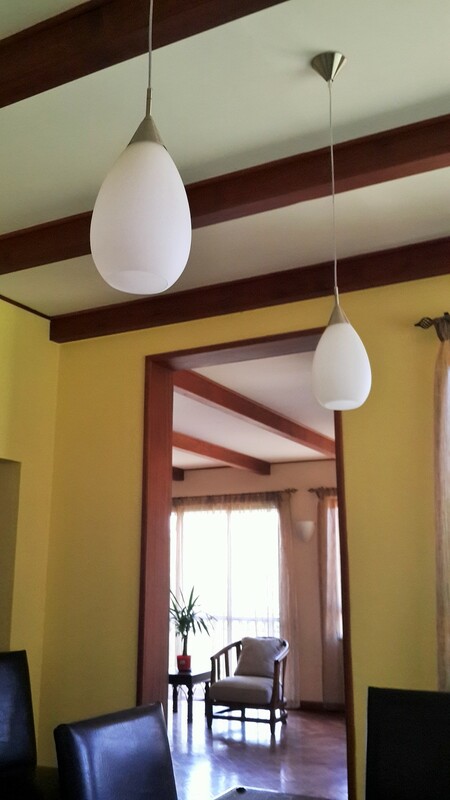 The ceiling choice can make all the difference when designing a room. It can open the space up, giving it a spacious feel, it can make a place feel more cozy and comfortable, or it can be the finishing touch to add to the quality and detail of the finishing work. 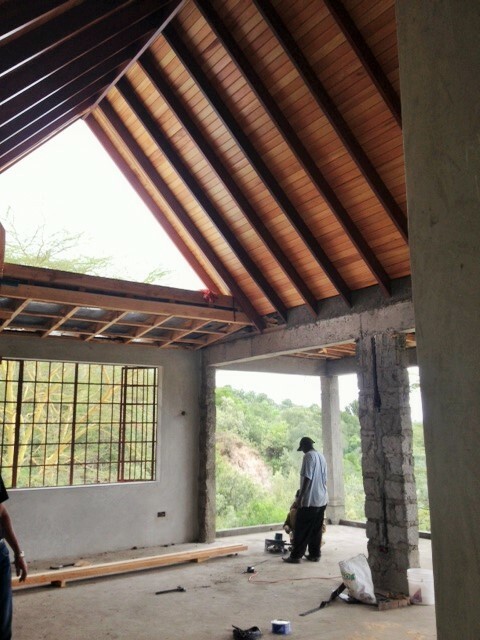 Unfortunately ceilings are often overlooked in Kenya, especially in homes, and the lack of choices often means the outcome of the project suffers. 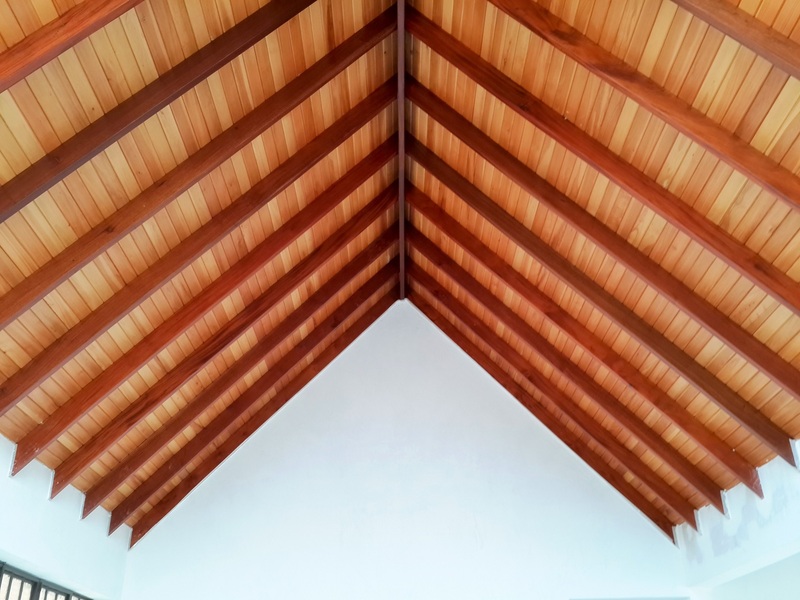 When choosing a ceiling for your house you have a number of choices, and all of the options given are possible through Douglas Projects. 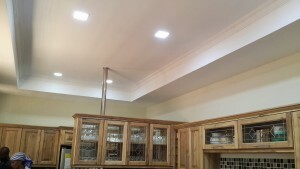 First is the standard gypsum ceiling. This can be built flat, which is advisable for bedrooms. Gypsum ceilings can also take shape, with options of a drop down ceiling or a sunken ceiling presented. This is advisable for kitchens, foyers, and parking areas. Another option is T&G ceilings (tongue and groove). In Kenya this is almost always done in Cypress wood, and is advisable for outdoor areas such as patios, balconies, or verandas. This is also standard for eaves. 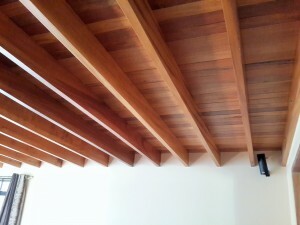 A favorite among clients of Douglas Projects is a beamed ceiling. 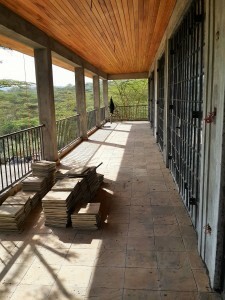 This is usually done in Mahogany hard wood, which matches the mahogany finishing common in Kenya. This is advisable for living and dining rooms. An exposed roof support ceiling is another great option to add character and openness to a room. 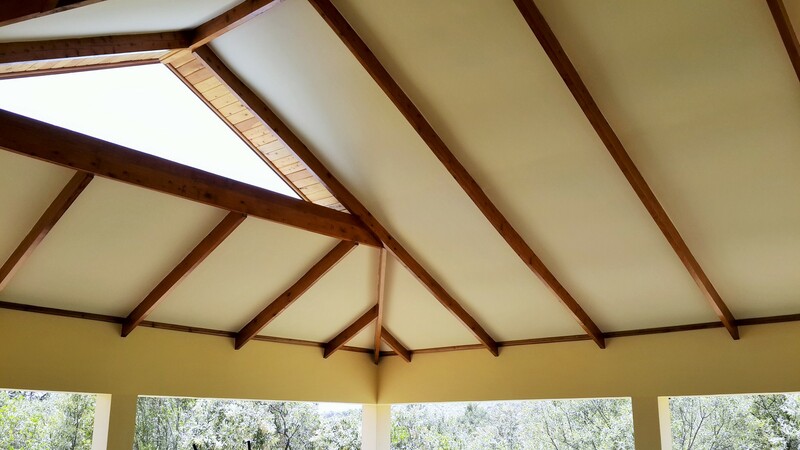 By preparing the wood for finishing, the structural support of the roof can be exposed with gypsum boards attached to the batten support. This is advisable for living and dining rooms, and outdoor areas. Other options combine previous designs to get a desired appearance. 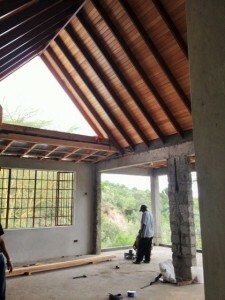 One is setting prime-grade T&G behind Mahogany beams. Design and implementation of custom ceilings is important. A quality architect and contractor are crucial in appearance and for the structural integrity of the product. At Douglas Projects, we are always experimenting with new designs to appease the varying taste of our clients, and we will work with you to ensure your project reaches its full potential.